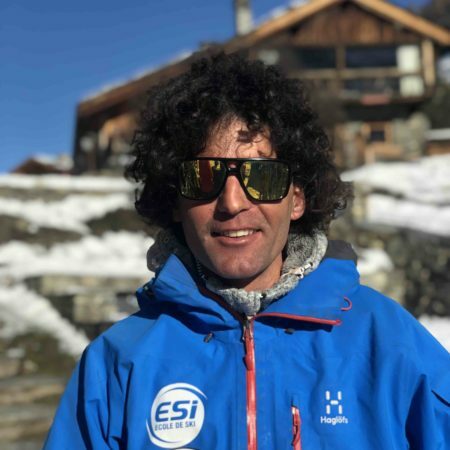 Our native English, Dutch, Italian and French ski instructors and guides hold the highest international qualification. They are professional, kind, patient, friendly and focus on the fun of learning, allowing everyone to advance at their own pace without any language barrier. At SnoCool we have one goal : to make your holiday a success ! In 1998 with Régis Roland and some other pro-riders we created Snocool. We shared the same vision of the sport the same desire to transmit our passion and we thought it was necessary to offer an alternative solution to the E.S.F ... The beginning of a long story! 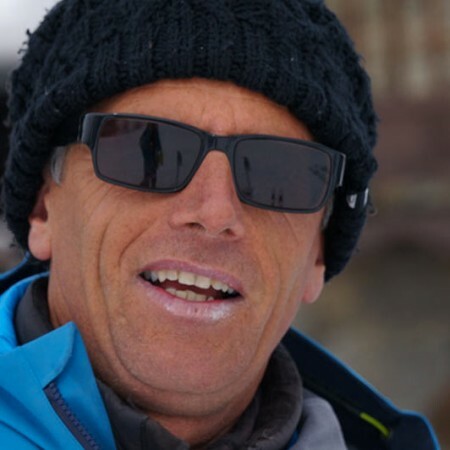 In love with the mountain, he organizes off-piste sessions in the Tarentaise Valley and ski adventures around the world. Steven is originally from the Netherlands. 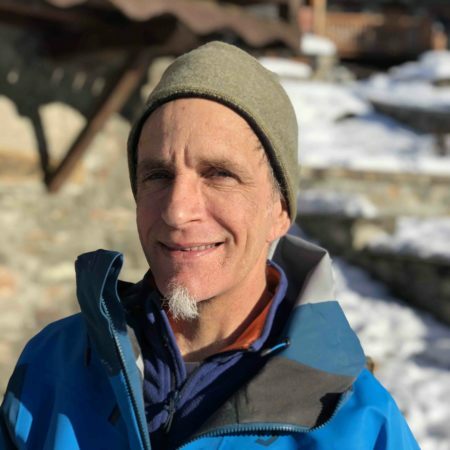 He has been leaving in the Tarentaise valley for the last 25 years. Thanks to his origins he has no language barrier and you will feel comfortable with him at the first turn. He speaks perfectly English with a great accent. He is able to share his knowledge naturally, no matter your age level or nationality. 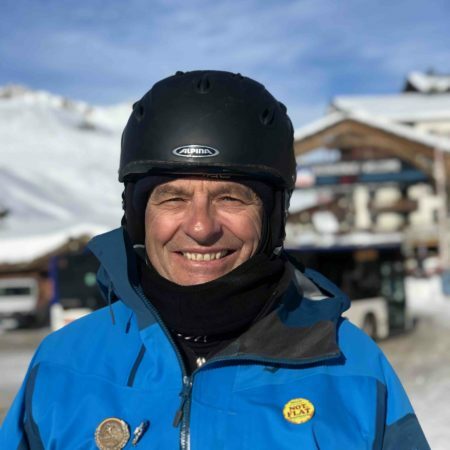 Steven teaches piste and off-piste, children or adults, ski or snowboard. Stefan is a great technician ! 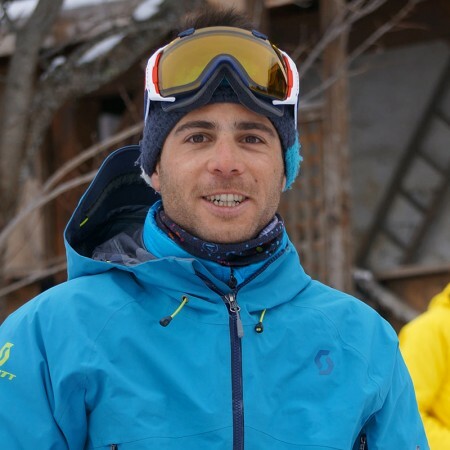 He is perfectionist and will speak hours until your understand what was wrong in your skiing, if you don’t get better after booking a lesson with him, just come and complain !! 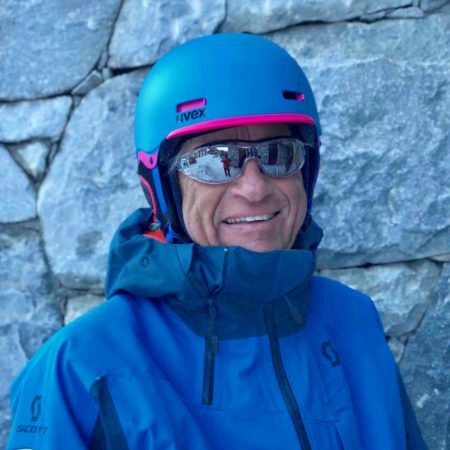 We have often heard that “the tall René” was the most friendly ski instructor. He takes his time to explain the right technique in a very formal way, it’s enjoyable! 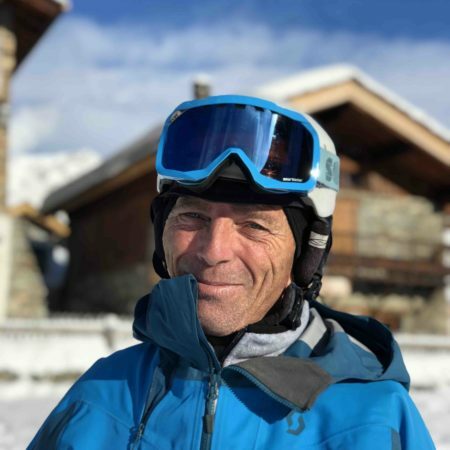 René has another job during the season, so when he is an instructor it’s a pleasure for him, he loves skiing and showing you the good restaurant, the good piste. He’s just a good guy for the little ones to the oldest one! 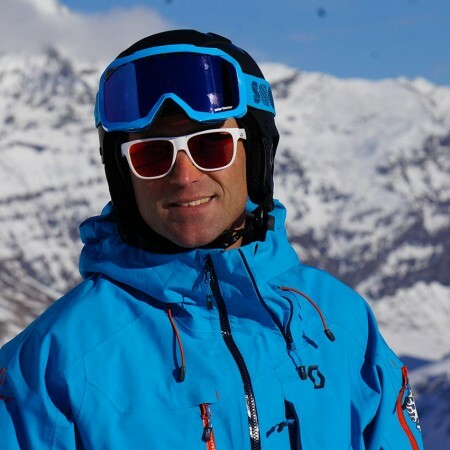 German native, Jürgen has skied everywhere in the Alps. Almost 3 years ago he chose to put his skis bag in Tignes. 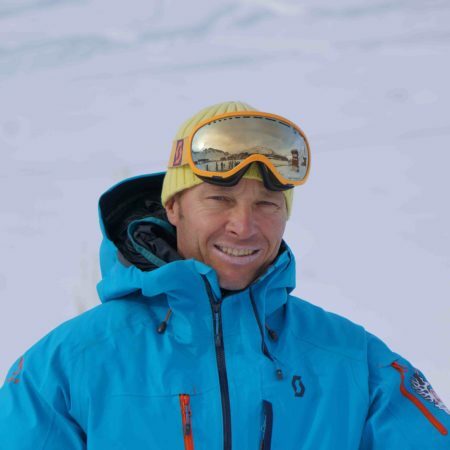 He teaches sometimes at Tignes sometimes at Sainte Foy, anyway what he loves above all is to transmit his passion. 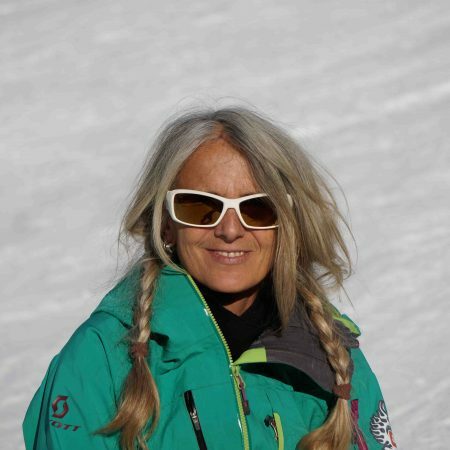 Passionate about powder, hiking and climbing, she grew up in Tignes and knows her mountain well. Available, cheerful, welcoming and always listening to you, she will do everything to satisfy you. We love Bulle and you will love Bulle because it is an excellent instructor ! 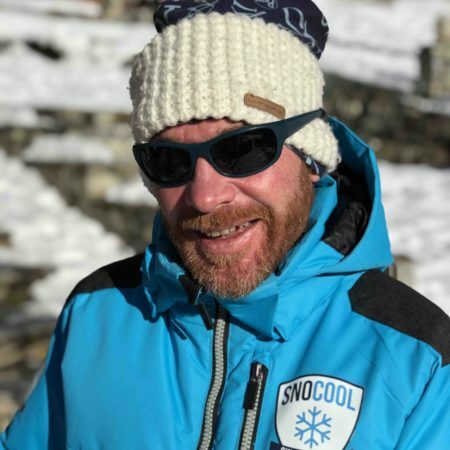 We are proud that he has been at SnoCool for over 10 years. For Misha and the rest of the team it’s a real pleasure to work with him. As soon as he has free time he does not forget to look after his children Lila and Arsène! Sabrina is our lovely traveling instructor. 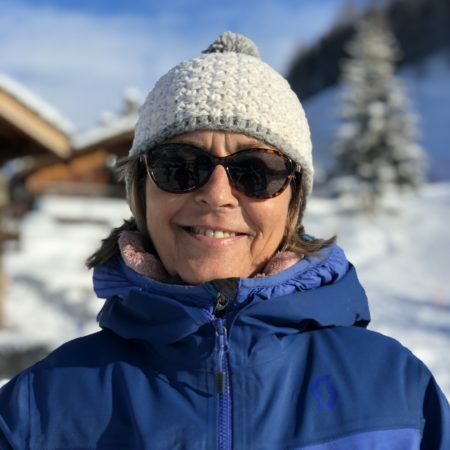 Once the winter season ends, she leaves on her sailboat to the discovery of the oceans … Back with the first snow, she loves teaching children in general and distills them a little sunshine with each of her words ! Children and parents who have been skiing with us for a few years will surely recognize Nils and his mop. 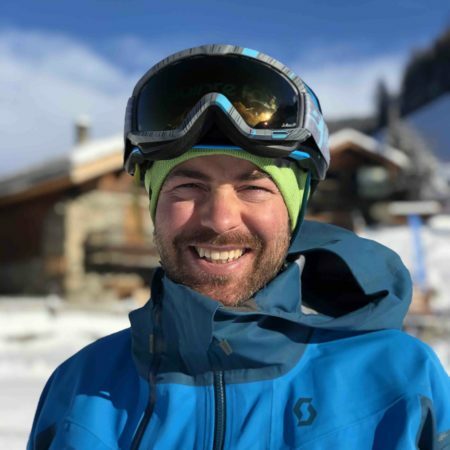 Indeed he has already come several times to teach with us as reinforcement … Like many of us he was charmed by Sainte Foy and finally decided to spend the entire 2019-2020 season with us. Serge is our serious and patient instructor, always available, he likes his job ! His teaching is assiduous, he gives his max in order to make you progress and he wants you to spend a good time with him. He is good with little ones as his patience is endless! Patrick is the English-French local of Sainte-Foy ! 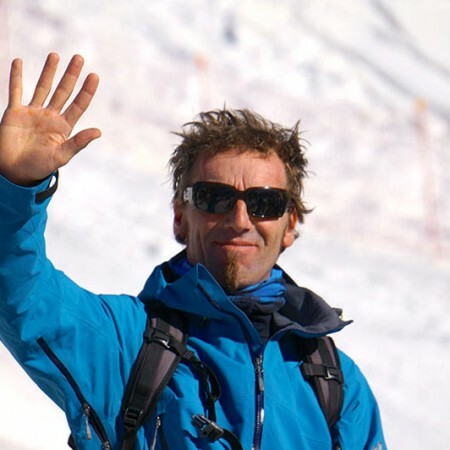 He was educated in the UK and moved to the Alps to indulge his passion for skiing and climbing. 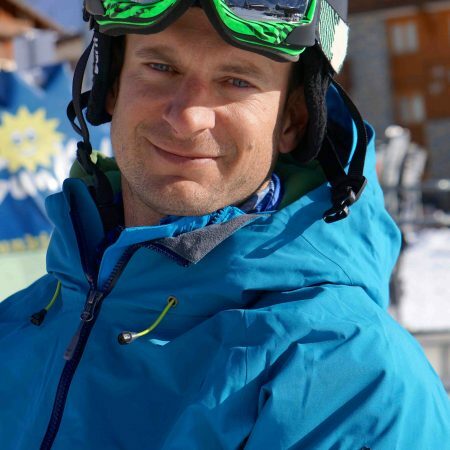 Having skied since the age of three, he has always dreamed of being a ski instructor. He has decided to qualify under the French system. Chrystel adapts to everyone! To the little ones, lots of fun with the teens, to the terrified mothers, to the people suffering from an old wound …Cheerful in life, competent on skis, you will relax and even spend a good time while learning ! Tom may be a bit quiet and shy however nothing gets him into trouble, never… He is a perfectionist, he does his job very well and honestly loves children, thanks to the great feedback we regularly receive from our customers. 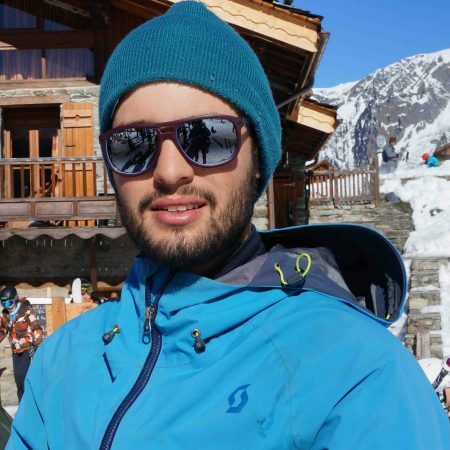 He loves snowboard, telemark and off-piste too, well… He adapts to any lesson we give him! David comes from the Pyrenees, we love his singing accent! After having coached the youngsters of the ski club for several years, he is picky with technique and likes to teach the fundamental bases. You will appreciate this quality and will progress quickly. David is a young instructor who will become easily friends with your children. Know that David is also an osteopath. 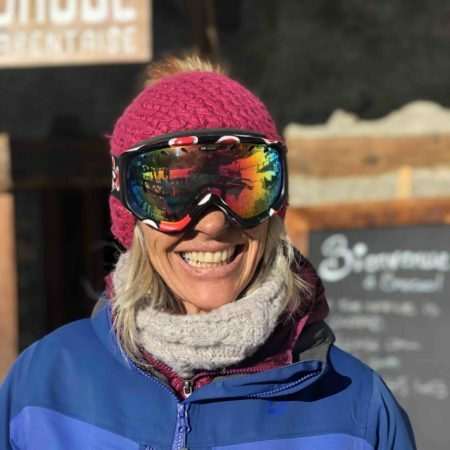 After having taught for many years in the Tignes and Val d’Isère ski area she enjoys teaching in Sainte Foy’s family atmosphere. 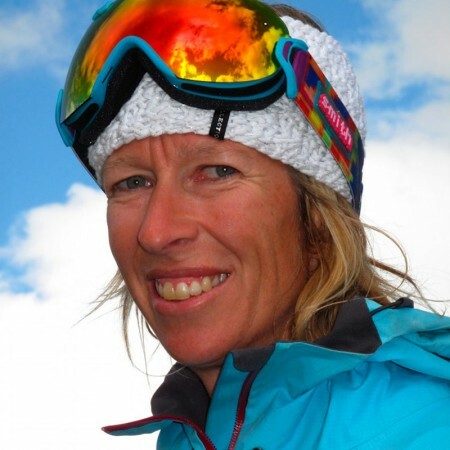 Experienced instructor she is very sweet and will help children and parents progress and have fun on skis. 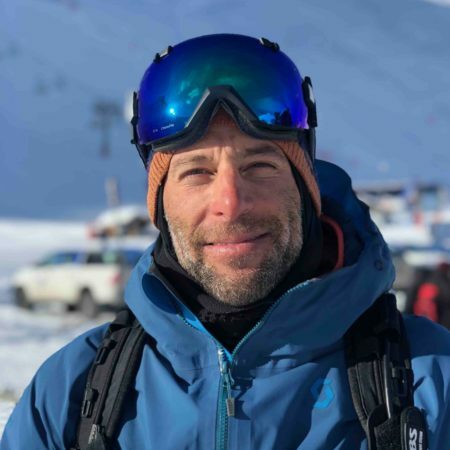 If you are lucky enough to ski with Maxime, you will be happy to have shared a moment with the nicest of our instructors. Student at the moment, he is unfortunately not all the time with us …Under his great beard hides an smart-hard-worker, when he is teaching, he is actually on vacation and enjoys each one of his guest as entertainment ! Snowshoeing through paths and hamlets of Sainte Foy region evening at the igloo … Iona supervises vibrant outings from morning to evening! Thomas is our new recruit and we are very proud! I have never seen Thomas speaking out loud, even in difficulty, he remains perfectly relaxed, children will talk about him for sure at home ! The whole idea is to love teaching skiing ! Sainte Foy does not leave indifferent those who are sensitive to natural and calm environments. David is one of those people is a Sainte Foy lover. After several years teaching ski as a freelancer. He decided this winter to join us to continue to share his passion for skiing with you and us. 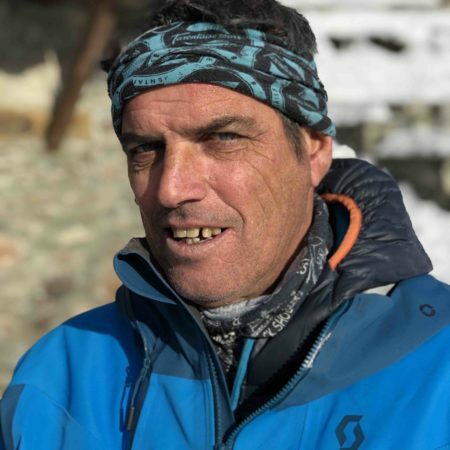 Gaétan is passionate about skiing and kayaking. His mustache shivers at the idea of skiing with you. He is always ready to teach the youngest and the greatest. CHRIS AKA "LE LOUP DE MER"
Chris “the sailman”owns a beautiful sailship based on the Mediteranéen sea. 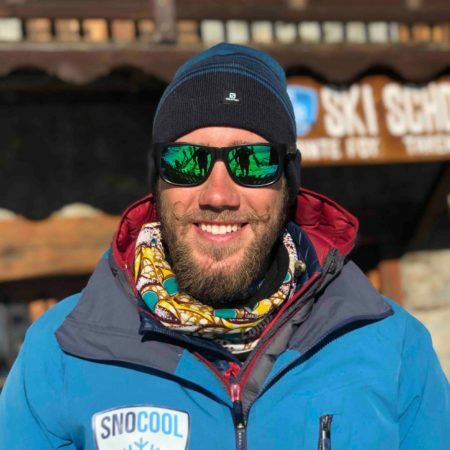 When Chris comes to teach with Snocool, it’s pure passion only as he loves teaching to kids. He’s fun and strict at the same time, he knows how to handle any child with a big smile and lots of humor! 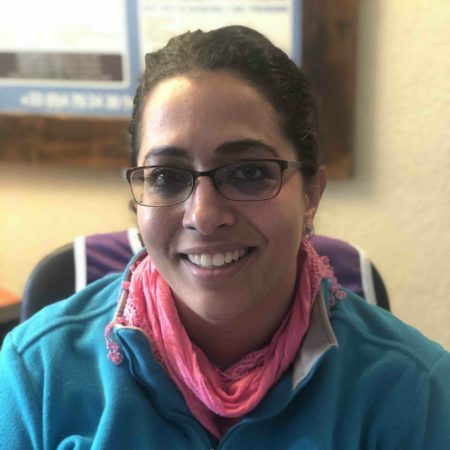 New recruit in 2018 Sherada is joining Misha to help improve your experience. She will answer your questions and make sure everything goes well with you and your children. Snocool answer 7 days a week !